Seadrill Limited has entered into new contracts for the construction of two high specification jack-up drilling rigs at Dalian Shipbuilding Industry Offshore Co., Ltd. in China. The newbuild rigs are scheduled for delivery during the second and third quarters of 2016, and the total project price per rig is approximately US$230 million (including project management, capitalized interest, drilling and handling tools, spares and operation preparations), with tail-heavy payment terms. The two new units will be based on the F&G JU2000E design, with water depth capacity of 400ft and drilling depth of 30,000ft. Seadrill now has in total ten jack-ups under construction at DSIC Offshore of which two are scheduled for delivery in 2013, five in 2015 and three in 2016. Seadrill’s construction program now totals 24 units, including 9 drillships, 2 harsh environment semi-submersibles, and 13 high specification jack-ups. In addition the Company has fixed priced options for two ultra-deepwater units. The Board of Seadrill is of the opinion that the premium jack-up segment continues to provide a compelling investment thesis. The global jack-up market is at an inflection point as approximately 60% of the global contracted fleet is built before 1993. Almost 100 newbuild jack-ups have been delivered since 2005. However in the last two years we have seen increased utilization and the number of stacked rigs decline to multi-year lows. Utilization rates have exceeded 90% while average dayrates, unmet demand and average contract lengths have all increased. Newbuild activity has increased in response to the industry’s calls for additional demand and more capable units. We are of the opinion that the current orderbook falls well short of adequately supplying oil company needs going forward. Currently, the orderbook stands at approximately 115 units of which approximately 50% are not competitive on a global basis. Most of these uncompetitive units are either low specification or destined for markets with regional factors that will limit their global mobility. Tender activity continues to be robust with a significant increase over the last six months. We have experienced increased inquiries primarily in Latin America, the Middle East, and West Africa. Our customers continue to shift their focus toward higher specification jack-up rigs and the benefits in terms of efficiency and safety that these units deliver. Not only are operators high-grading their fleet for the short term, but also increasing the duration of contracts, a trend which speaks to the scarcity value of high specification units. 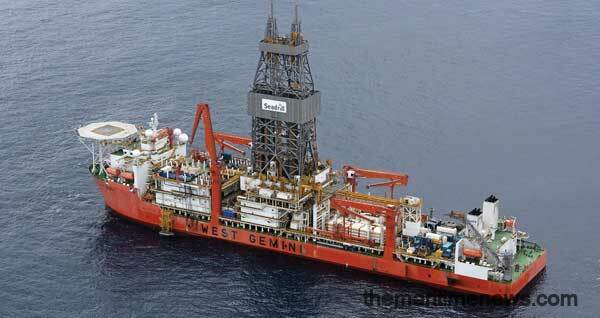 Seadrill is currently in specific discussions about long term chartering for several of our jack-ups. These discussions confirm a stronger day rate environment as well as longer contracting terms. Per Wullf, CEO of Seadrill Ltd. says in a comment, “Seadrill has focused its’ newbuild activity on the high end of all asset classes since the Company’s inception in 2005. High specification units have historically commanded the highest dayrates and utilization rates and we fully expect this trend to continue. The market for high specification jack-up units is poised for a significant uplift in dayrates and we continue to invest in order to put Seadrill’s shareholders in a prime position to benefit.